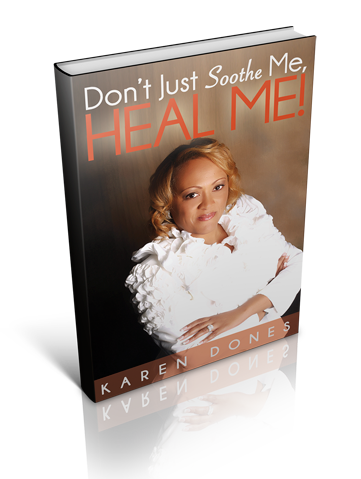 “Don’t Just “Soothe” Me, HEAL Me! …I stood at the front of the church to greet the congregants. To my far left I observed a young woman standing there. She desperately wanted to be free from her past. When she approached me, I extended my hand and gave her a smile. To make her feel comfortable I sat down on the steps that lead to the pulpit and I asked her to join me. She agreed and the conversation began. In this woman, I experienced the frustration of trying to help someone so broken. I had never seen anyone so emotionally fragile. Many days I felt inadequate to help her. With that feeling, I cried a lot. Every time I felt like really throwing in the towel, I continued to hear Jesus say to me “if you walk away now, you are saying she is not worth it and Calvary wasn’t enough”. Each time I heard that, it pierced the core of my soul. Throughout this book, you will read entries from her personal journals. The entries represent the voices of many individuals in this world who are trapped by their past and held captive by their present. We’ve been soothed for far too long. Finally, it’s time for you to be healed.